I didn’t hate X-Men: The Last Stand nearly as much as the rest of the world, but it still left the franchise in desperate need of some kind of reboot. When it was announced Bryan Singer would produce but not direct the film, his attachment to X-Men: First Class brought a mix of hope and caution. Singer – who directed the much acclaimed second film in the original X-Men trilogy – was also in need of a reboot in the comic book adaptation world after his disappointing film Superman Returns. Though uncredited, IMDb also lists him as a producer on the ill-executed X-Men Origins: Wolverine. But First Class was a master stroke that allowed a story with great characters that had nowhere left to go a chance to go back to the beginning. Telling the origins of the those who were the elder statesmen of the first three movies – Charles Xavier and Erik Lehnsherr – allows the film to tell a different kind of story because it is set in a world where people do not yet fear mutants … because they do not yet know that they exist. In a similar fashion to the way Dallas Buyers Club takes us back to a time of great paranoia and confusion, First Class puts us in 1962 during the Cuban Missile Crisis – maybe the height of paranoia. DBC reminds us that ignorance once pervaded in the belief that HIV was directly linked to homosexuality, and the storm of confusion surrounding the inevitable revelation of mutants at a time even more bereft of information than the 80s becomes a frightening prospect. There is a reason Professor X and Magneto spend so much time in this movie playing chess and discussing the ramifications for their actions. This all comes at a time when so much was emerging from the underground and being a mutant becomes an extended metaphor for all of the issues of the time, including racial and sexual justice. Charles Xavier and Erik Lehnsherr are this world’s version of Martin Luther King and Malcolm X.
Wisley, the flick leans heavily on the aesthetics of the time, properly employing the right musical and costume choices. It had already been done in Captain America: First Avenger, but it’s still fun and rare to have a superhero period piece – especially one about such an interesting time that doesn’t fall victim to the over-glorification found in many more standard films about the 60s. The only thing holding this film back from a far loftier position on this list is a general lack of innovation and ultimate significance inside the genre. Anchored by Michael Fassbender, James McAvoy , Jennifer Lawrence, and Kevin Bacon, the movie is not short on star power or strong performances. I also always love when Oliver Platt can show up in anything and he does not disappoint as the sympathetic CIA agent who represents all of us who would geek out at a chance to work with mutants. This movie finally gave the talented Nicholas Hoult the exposure he deserved and he has since become a star in movies like Warm Bodies and Mad Max: Fury Road. I’ve said it before and I’ll say it again, Hugh Jackman deserves everything he has gotten for being such a big part of the world even supporting all these movies, but it was also nice to see an X-Men story on the big screen that for once didn’t revolve around Wolverine. While the metaphors and sense of social justice are strong in this film, it also scores for boiling down to a tale of how two friends came to care so deeply for each other but were inevitably torn apart by ideology. Charles and Erik find in each other to be each’s only match. Yet, they are perpetually doomed, following the events of this film, to forever be on the opposing sides of armed conflict. They are brothers separated by war. 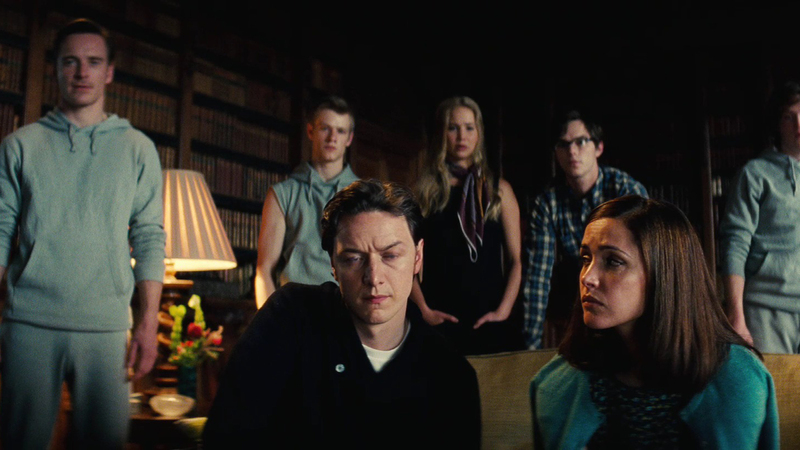 X-Men: First Class expertly balances a multitude of themes both global and personal while still being one of the most fun, humorous, and action-packed movies in the genre.